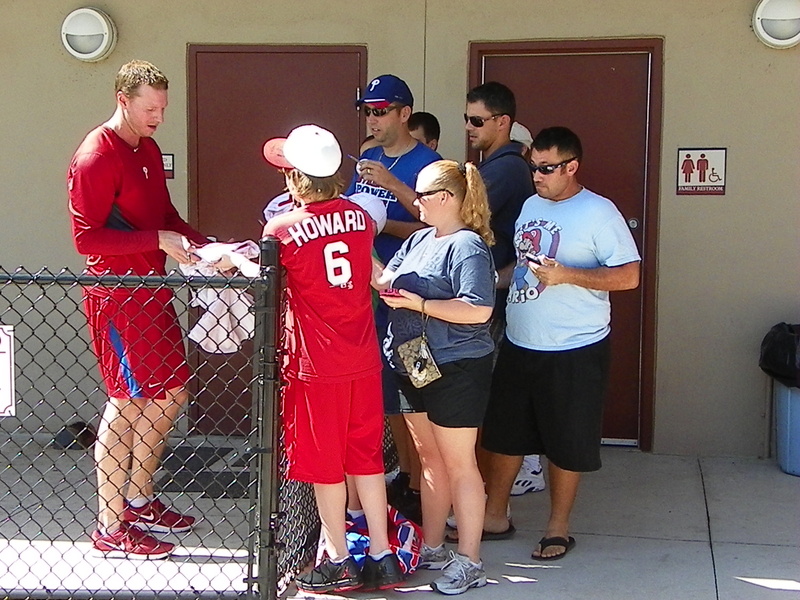 Clearwater, Fla. –It was a warm day out in Clearwater as Phillies RHP Roy Halladay (strained right latissimus dorsi) signs for the fans at the team’s Carpenter Complex after his workout Tuesday July 10, 2012. 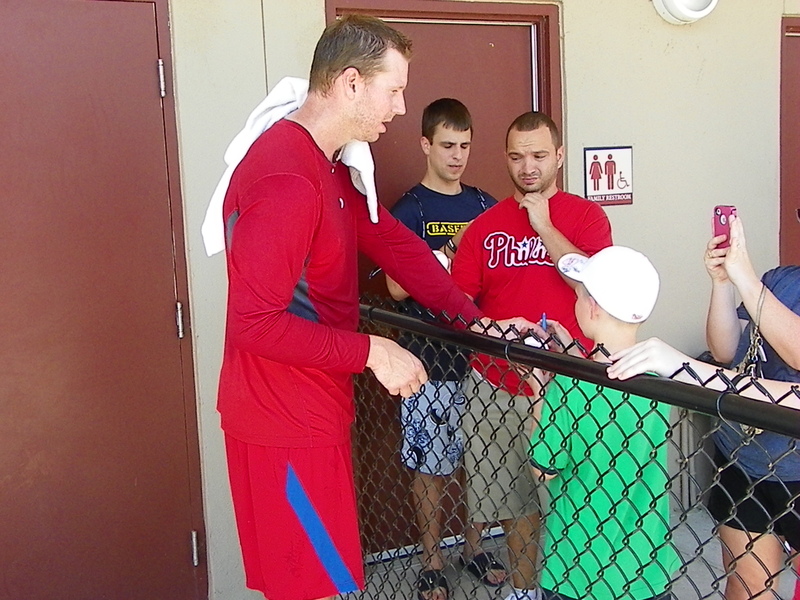 According to team sources in Clearwater Halladay threw his bullpen session on Monday and just threw long toss on flat ground Tuesday. It appears he will make a rehab start for Class-A Clearwater on Thursday July 12, 2012. Phillies RHP Justin DeFratus (right elbow inflammation) made his first game appearance of 2012 using 15-pitches to toss a shut out inning against the Blue Jays GCL squad. 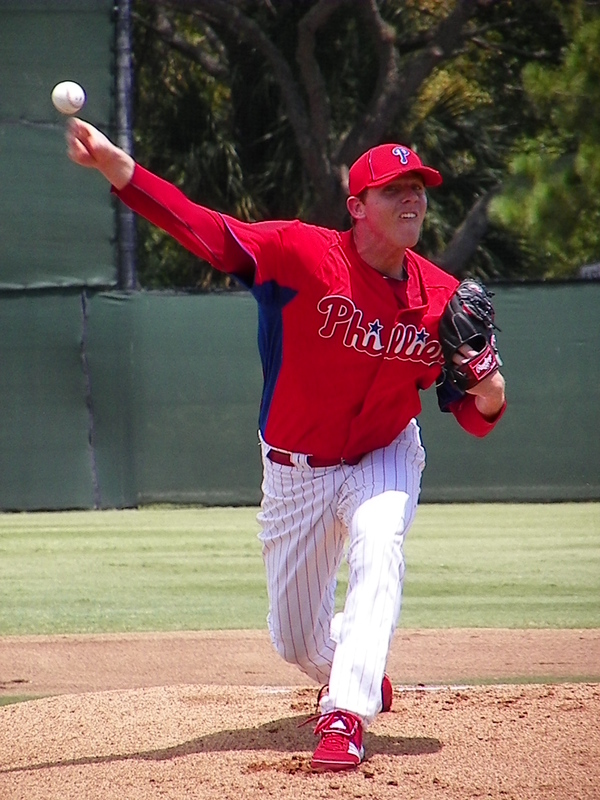 During a late season call up by the Phillies in 2011 DeFratus went 1-0 with a 2.25 era. over five games all in relief. 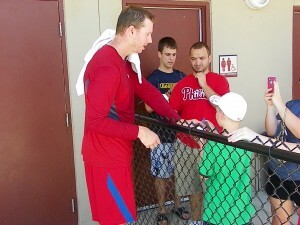 The win DeFratus recorded was the Phillies franchise record 102 on September 28 against Atlanta.